Martha, the last passenger pigeon. This post is written by Helen James, Curator-in-Charge, Division of Birds, National Museum of Natural History. Ask Helen a question during our Twitterchat on Tuesday, September 2nd! 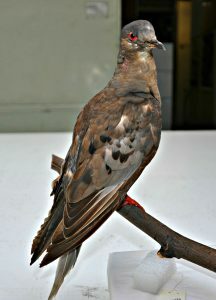 Martha, the last passenger pigeon, is back on public display for the first time since 1999, this time in an exhibition titled Once There Were Billions: Vanished Birds of North America that opened in the Smithsonian Libraries Exhibition Gallery of the National Museum of Natural History on June 24. Martha died on September 1, 1914, in the Cincinnati Zoo; she was immediately frozen into a 300-pound block of ice and shipped by fast train to the Smithsonian in Washington. There her body was carefully preserved as a taxidermy mount and an anatomical specimen. She had been recognized in the last years of her life as the only surviving individual of a species that was the most abundant bird in North America only decades earlier. In death, she has become one of the Smithsonian’s most treasured specimens. Martha’s story was a wake-up call for our nation regarding its unregulated harvesting of natural resources and contributed to the development of our modern conservation ethic and laws protecting wildlife. 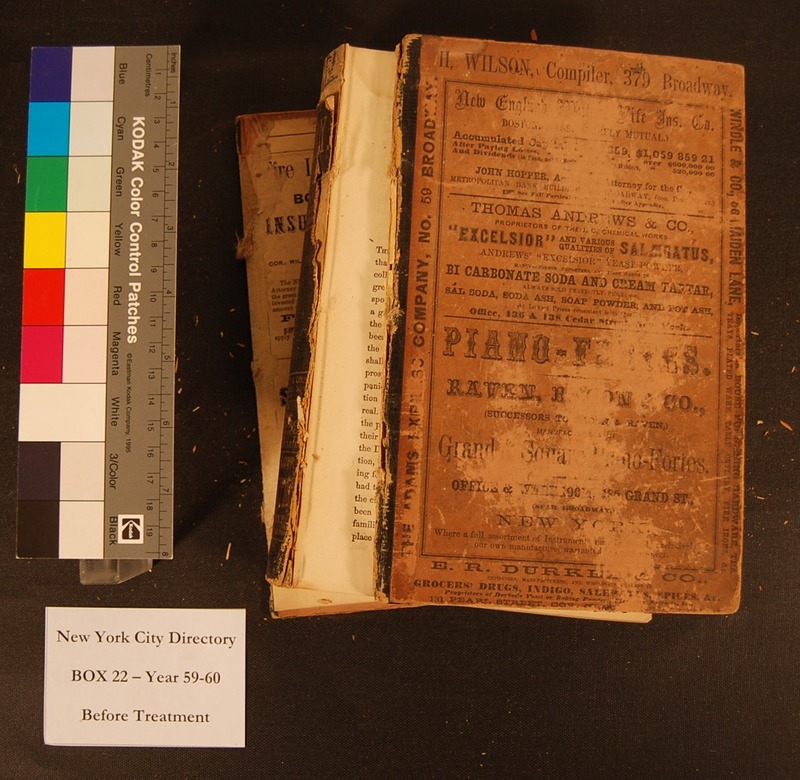 This post was written by Katie Boodle, Book Conservation Lab intern. 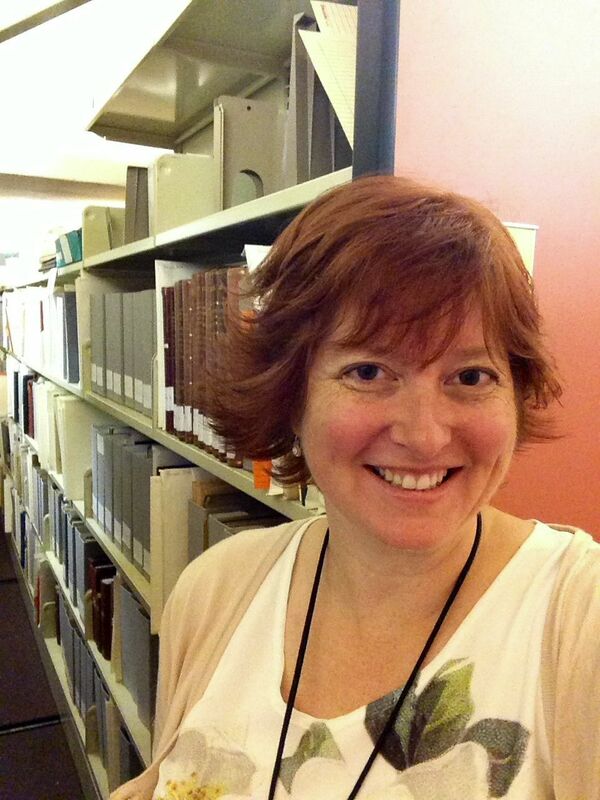 As part of the Smithsonian Libraries’ Conservation of Library Materials Internship, I had the opportunity to work on projects that addressed common conservation problems in archives and special collections: preparing works for digitization and creation of enclosures. Conservation in general is focused primarily on the stabilization of ethnographic, historical, and/or artistic objects for future or continued use. A lot of our treatment decisions, therefore, are made based on how the object will be used in the future, as well as how the objects were used in the past and the specific type of damage done to them. The main project that I worked on during my six weeks was the stabilization of a set of Trow’s New York City Business Directories dating from 1858-1867 located in the collection of Cooper-Hewitt Smithsonian Design Museum Library. The main purpose of repair was to prepare the volumes for digitization. 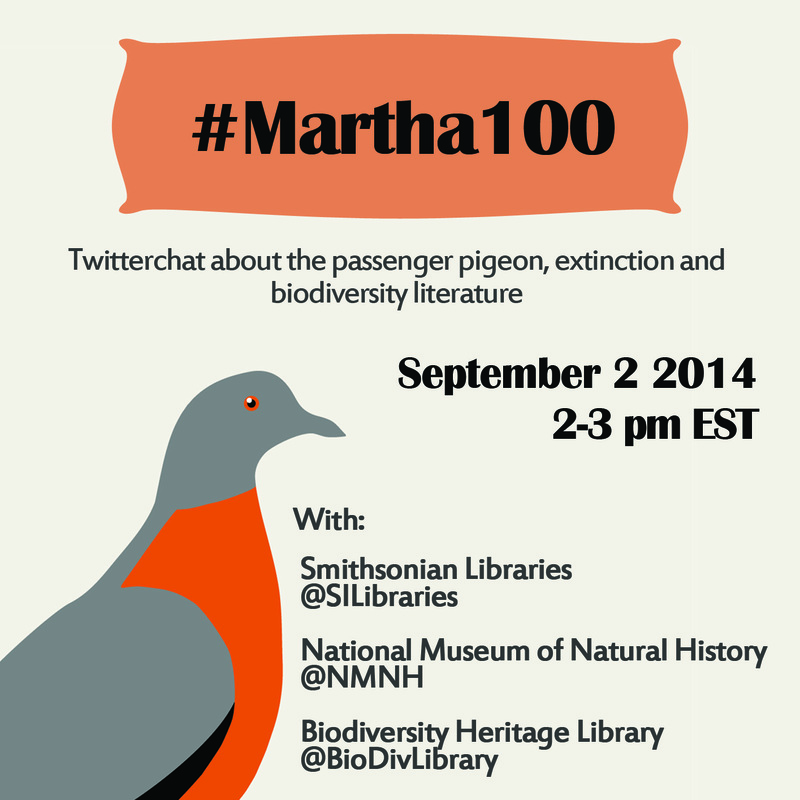 Please join the Smithsonian Libraries, the National Museum of Natural History (NMNH) and the Biodiversity Heritage Library (BHL) for a twitterchat on September 2nd. 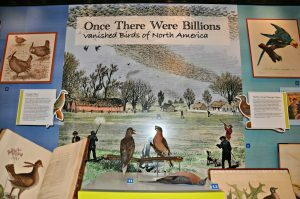 The chat will take place between 2-3 pm (EST) and feature Helen James, Curator of Birds and our recent Once There Were Billions exhibit in NMNH, and Martin Kalfatovic, Program Director of the Biodiversity Heritage Library. Continue ReadingTwitterchat on September 2nd! The author (right) with her former colleagues. This post was written by Salima Appiah-Duffell, library technician at the Smithsonian American Art Museum/National Portrait Gallery Library and Hirshhorn Museum and Sculpture Gallery Library. 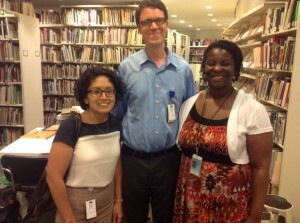 Salima recently joined our staff in July. Welcome, Salima! When I started library school at Catholic University, working at the Smithsonian (Institution) seemed like a beautiful, but impossible dream. Now, with my Master’s in hand, I’ve started my second career exactly where I hoped. I’ve been a Library Technician for the Hirshhorn Museum and Sculpture Garden and Smithsonian American Art Museum/National Portrait Gallery Libraries for a month now, and I still can’t believe my luck. 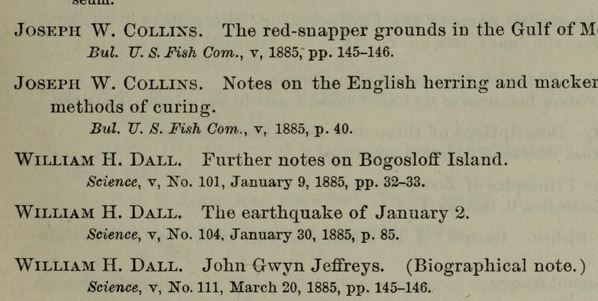 Thanks to support from the National Museum of Natural History, Smithsonian Research Online (SRO) is adding a large body of legacy publications to its database this year. 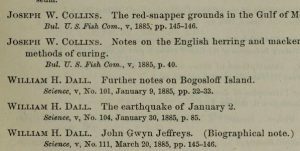 The source of the data is the annual reports of the United States National Museum (USNM) from the 1870s to the 1960s which often included an appendix listing staff publications. Some years there was no data listed, for example during World War II. 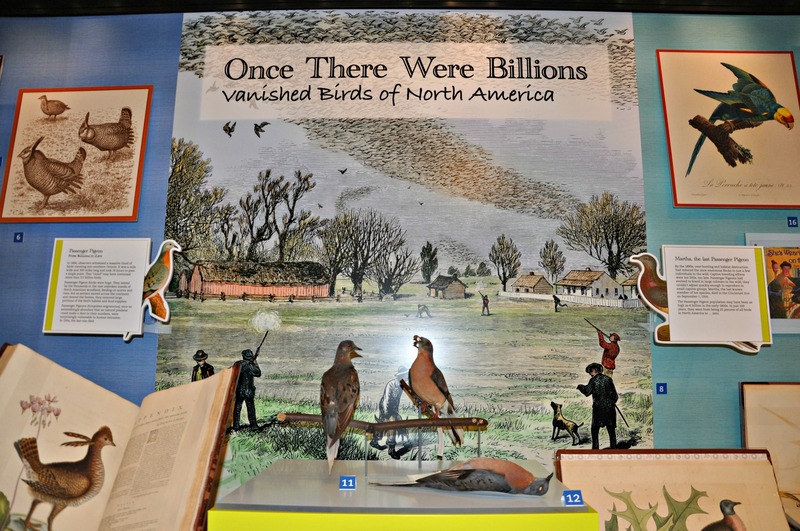 Once There Were Billions, the new Smithsonian Libraries/BHL exhibit at the National Museum of Natural History. 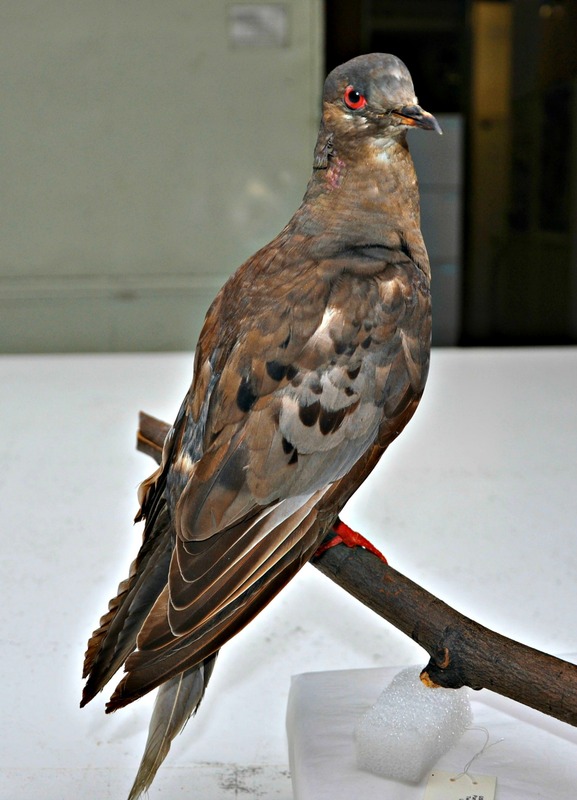 The Passenger Pigeon on the left, with her back to the viewer, is Martha, the last Passenger Pigeon that died 100 years ago in 1914. This post was written by Grace Costantino, Outreach and Communication Manager for the Biodiversity Heritage Library. It first appeared on the BHL blog here. You are living in the midst of earth’s sixth great extinction event. You’ve been living in it since you were born. So have your parents, your grandparents, your great-great-great-great-grandparents, and all of your ancestors for about 10,000 years. It dates back to the extinction of the mammoths and has been increasingly accelerating as human actions and climate change reshape the balance of our planet. Within the next century, 75% of the conservatively estimated 8.75 million species on earth may be extinct.